EXCLUSIVE AT NET-A-PORTER. 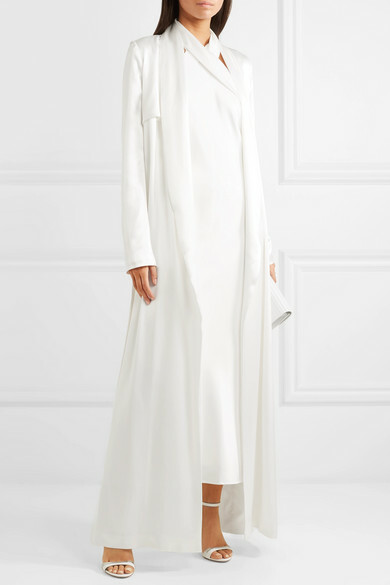 Galvan's fluid trench coat is cut from satin that drapes so elegantly - the ivory hue complements the luster of the material beautifully, creating a lovely pearlescent glow. This robe style has shawl lapels and a matching tie to cinch you in at the waist. 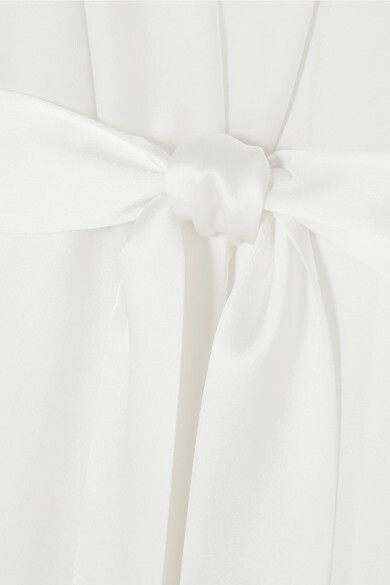 If you're a bride-to-be, wear it to your rehearsal dinner or wedding reception with the matching 'Pandora' dress. Shown here with: Jimmy Choo Clutch, Miu Miu Sandals, Anita Ko Ring, Anita Ko Ring, Anita Ko Earrings.